A wealth of relevant websites and useful phone numbers for both general information and crisis situations. Contact details for all states and territories. 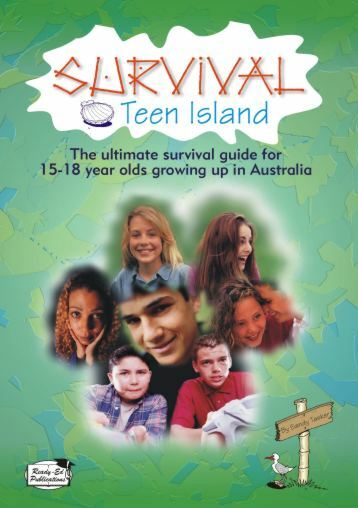 This teenage survival manual aims to equip the typical teenager with everything he or she will need to make it in the real world. Its humorous approach will keep teenagers on their toes and open their eyes to some of the pressing issues that most teenagers face in the increasingly awkward journey towards adulthood. Covers everything they will need to know about looking after themselves when home alone, with cool ideas about shopping, cooking, keeping the house secure, doing the laundry, and tips for babysitting. There is even a section to show how to cope with the School Ball and Schoolies’ Week! Please note, a customer service representative will take payment details over the phone or via fax. There is no need to send credit card details online. NB: Check that your details above are correct! Send e-mail to info@readyed.com.au with questions or comments about this website.